At a time when the popularity of Rugby Sevens is reaching new heights, due to the HSBC series and its inclusion in the Olympics, the Kiama Sevens is preparing to host its 45th competition. The first Kiama Sevens took place on the last Saturday in February in 1973 with an eight team tournament. This year, 32 men’s teams and eight women’s teams will compete in the five separate competitions of the tournament – the Kiama Sevens Cup, the Women’s Vase, the Country Cup, the Plate and the Bowl. Total prize money including trophies is valued at $25,000. The Tournament’s Director Mark Bryant says the decision three years ago to not take international or representative sides any more has proved a wise move. He says the popularity is evidenced by there being 16 teams on the stand-by list for this year’s event. This year will see the return of the Tuggeranong Vikings, known as the strongest team club in Australia, after a fifteen year absence. Queensland University is also sending men and women’s teams. These are in addition to leading Shute Shield teams such as Manly, Randwick, Sydney Uni, Warringah and West Harbour. Having Australia’s best clubs compete is a perfect opportunity for ARU and state talent identifiers to spot promising players. Andy Friends, the Australian Men’s Sevens coach, will again be attending the competition. to play for their club sides instead. Mark Bryant is proud that a competition initiated to raise funds for the rugby club and its juniors has grown into what he believes is the biggest weekend of the year. 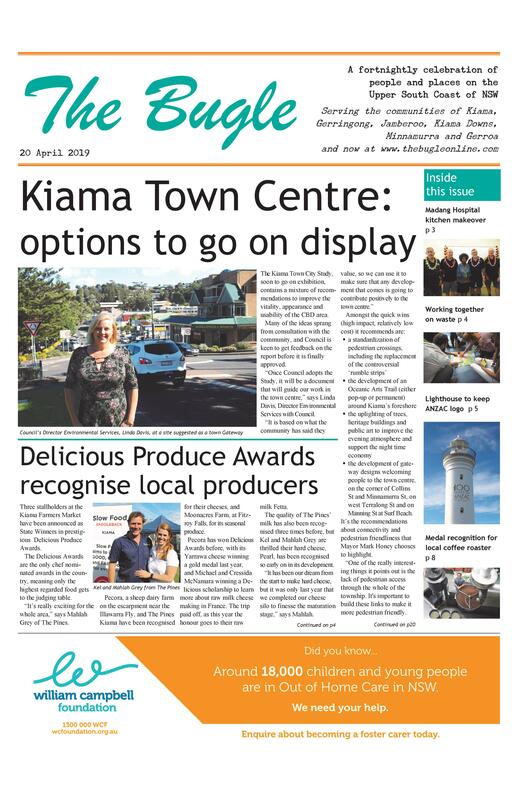 “While the competition is on one day, with sides arriving as early as Thursday and leaving on the Sunday, it makes for a very big weekend for tourism and businesses in Kiama. Details: Saturday 25 Feb, Kiama Showgrounds, from 8.30am. Semis from 3pm. $10 entry.